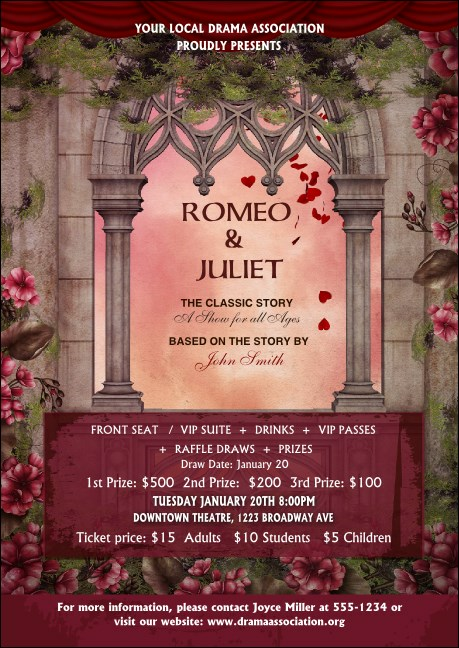 It was a tale of star-crossed lovers...create drama in your event promotions by handing out the Romeo and Juliet Club Flyer in advance. This template comes in soft pink and burgundy tones. A balcony frames the main information while flowers surround it all. Advertise your tragedy with the right club flyer from TicketPrinting.com.